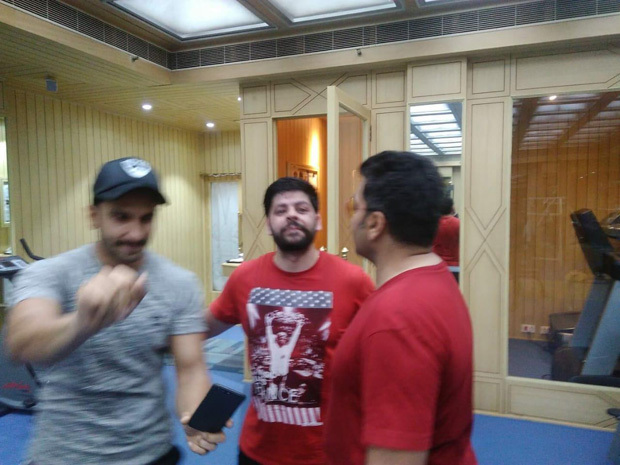 Ranveer Singh, who was last seen in Padmaavat, has kick-started his next film Simmba in Hyderabad. The shooting began earlier this week with Sara Ali Khan, director Rohit Shetty, Sonu Sood and producer Karan Johar. Now, even Ashutosh Rana has joined the out and out entertainer. A couple of pictures of Ranveer Singh and Ashutosh Rana were shared by fan clubs. 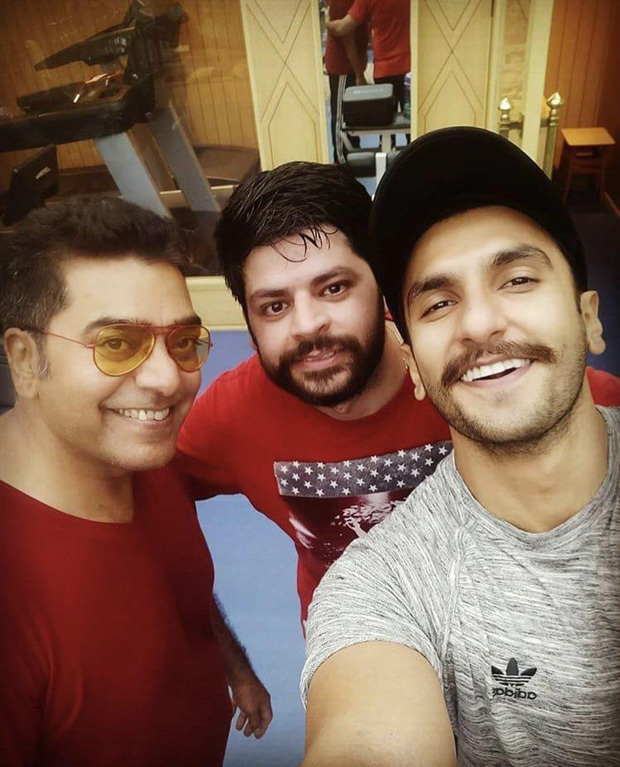 He was seen at the gym along with Ranveer at the gym getting trained for the film. They were hanging out with their trainer at the Ramoji Film City in Hyderabad. Ashutosh and Ranveer were dressed in the athleisure outfits while posing for pictures. Directed by Rohit Shetty, Simmba is a remake of the Telugu film, Temper (2015). It is reported that Ajay Devgn will have a cameo in the film and reportedly say his trademark Singham dialogue, ‘Aata Maajhi Satakli’. Simmba is all set to hit theatres on December 28, 2018. Meanwhile, Ashutosh Rana has many projects in the pipeline for the next year. He will star in several projects including Shashank Khaitan’s Dhadak starring Janhvi Kapoor – Ishaan Khatter, Abhishek Chaubey’s Sonchiriya starring Bhumi Pednekar and Sushant Singh Rajput. He will also be seen in Anubhav Sinha’s Mulk which stars Rishi Kapoor and Taapsee Pannu and Tigmanshu Dhulia’s Milan Talkies. Also Read : Simmba new PIC out! Ranveer Singh’s gritty smouldering look is pure Dynamite!